කාලෙකින් තමා මේ Post එකක් දාන්නේ. photo එක දැක්කහම නං පේනවනේ මොකද්ද මේක කියලා. 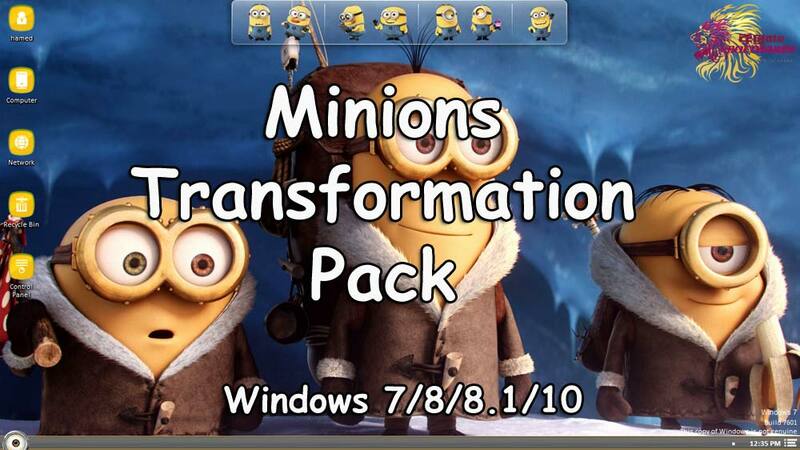 මේක තමා The Minions Transformation Pack නොහොත් Theme එක. 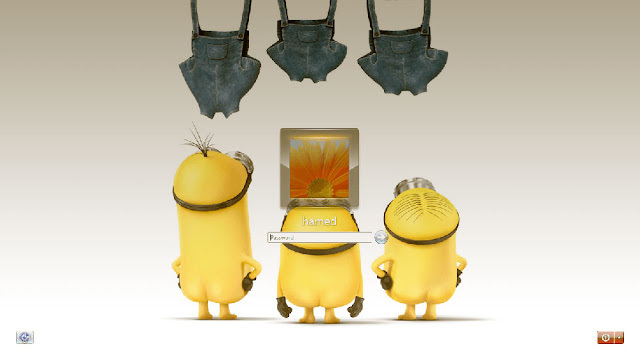 කට්ටිය දන්නවනේ Minions ලා ගැන. උන් ටික සිරාවටම පට්ට පොරවල් ටිකක්. මන් පට්ටම ආසාවෙන් බලපු cartoon එකක්. 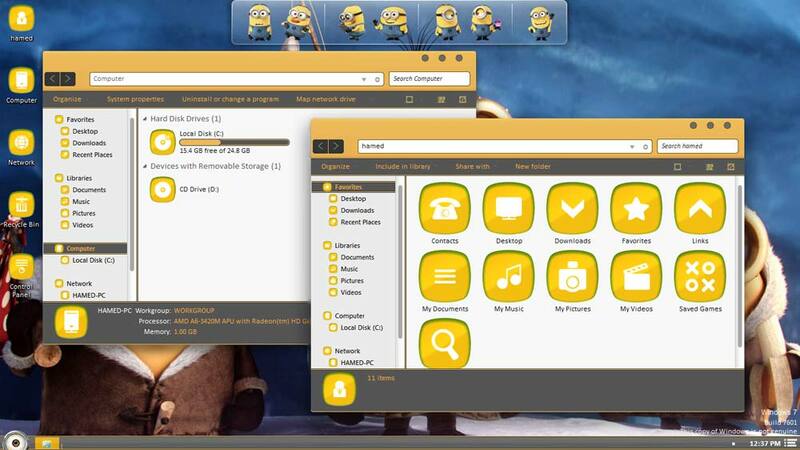 මේ theme එකෙන් Logon screen එක, Icons, Folder Views, Start Menu හා තවත් ගොඩක් දේවල් වෙනස් වෙනවා. තව මේකේ Transparent/Glass Dock එකකුත් තියනවා. මන් පහලින් Screenshot ටිකක් දැන්නං. 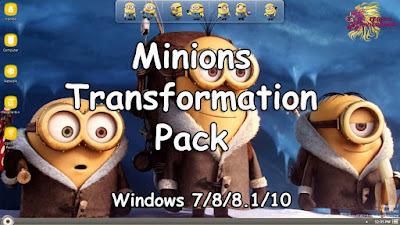 මේක නිකන් Normal software එකක් install කරනවා වගේ install කරහන්. එහෙනං theme එක ඕනේ නං පහල ලින්ක් එකෙන් බාගනින්.